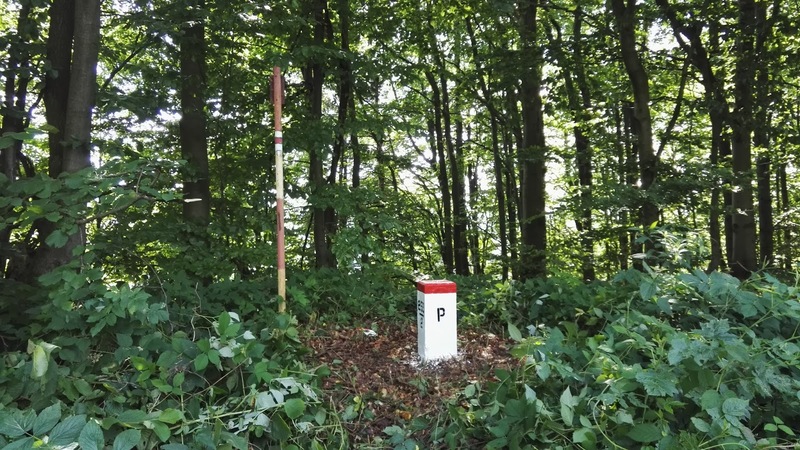 The E3 now makes a huge loop of almost 170 km along the Polish-Slovak border - that can be shortcutted by a trail of mere 2 km. And that is what I did because I wanted to have more time for the rest of my trip. But what I heard from other hikers this loop is definitely worth it if you have the time. 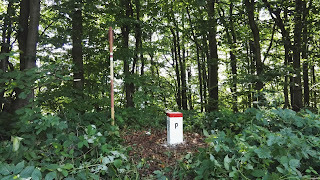 Still I followed the borderline for quite a while but because Slovakia and Poland are both Schengen countries you only realise by these white markstone that there is an international border. I even camped right on the border line! My next rest stop was Presov, a nice historical town from where I made a daytrip by bus to Bardejov, which is UNESCO world heritage. It was now end of July and freaking hot especially in my hotel room with no aircondition! 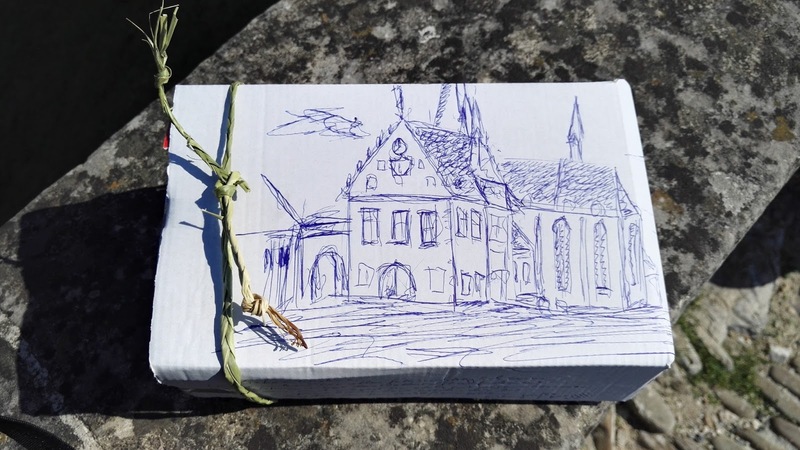 But besides sightseeing I had another good reason to go to Bardejov: Anne and Ulli, two other German EB hikers had heard of my 50th birthday and had left me a little present in a pension in Bardejov. I was so excited when the hotel owner handed this little parcel over to me that Ulli had painted so nicely with a view of Bardejov town square. Inside was a bottle of Kofola, the Slovak version of Coke, chocolate, some candy bars and nuts. By that time I had not even met Anne and Ulli yet and still these total strangers had left me a present. I was so overwhelmed by gratitude! 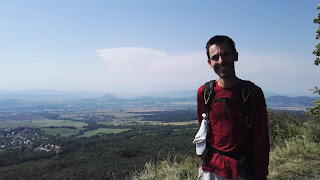 In Presov I met up with Balazs, a Hungarian hiker whom I had met the previous year in Budapest. He had taken a day off work to hike with me for a couple of days and it was such a joy to have company again. We talked and talked - and hiked way too little! But it was so hot that hiking was very demanding and many water sources were dry or just a trickle. When we came across a well we each dumped a bucket of water over each others head to cool off a bit! Although the trail was not very difficult it was a constant up and down! 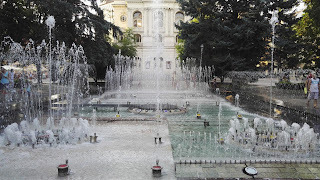 I took another rest day in historical Kosice where I was very happy about the air condition in my hotel! 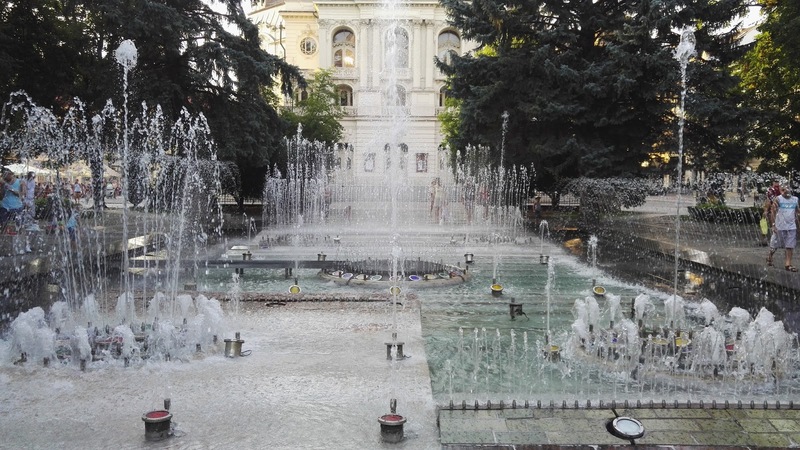 Kosice is a beautiful city and due to the summer heat the fountain in the main square was the biggest tourist attraction! The E3 now continues along the Slovak-Hungarian border on the Slovak side, but I crossed into Hungary as early as possible to continue on my beloved Kektura, a trail that circles around the entire country and which I had hiked the year before.